So how can you fix your system to get it running like new again? Here are some invaluable tips on how to improve performance and make Windows run faster on your PC again, without upgrading hardware! 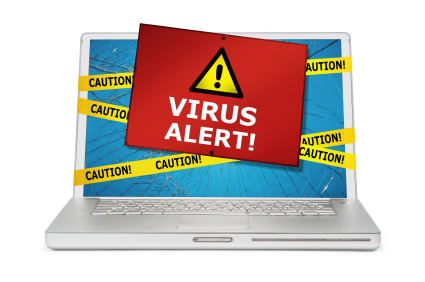 One of the first tasks you want to perform when you PC begins running slowly is a virus & spyware scan. Viruses and spyware are becoming increasingly more common as more and more computer users depend on the web to download all kinds of things. What you may not know is how many seemingly legitimate files there are on the internet that can carry viruses or spyware. If you download such a file you may not be aware of the problem until it is too late. 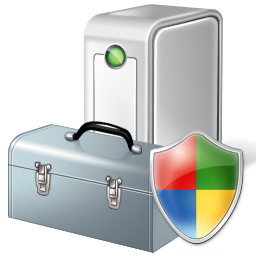 Use your installed antivirus and antispyware tools to check for and remove any unhealthy files from your PC. If you do not have antivirus and antispyware software already, be sure to check out Avast (antivirus) and MalwareBytes (antispyware), both of which are available for download completely free of charge! We recommend installing both of these programs and regularly scanning your computer on a scheduled basis (once-a-week or once-a-month depending on how often you use your PC). Many PC manufacturers pack their new computers with programs you didn’t order and might not want. These often include trial editions and limited edition versions of programs that software companies hope you will try, find useful, and then pay to upgrade to full versions or newer versions. If you decide you don’t want them, keeping the software on your computer might slow it down by using precious memory, disk space, and processing power. It’s a good idea to uninstall all the programs you don’t plan to use. This should include both manufacturer-installed software and software you installed yourself but don’t want anymore—especially utility programs designed to help manage and tune your computer’s hardware and software. Utility programs such as virus scanners, disk cleaners, and backup tools often run automatically at startup, quietly chugging along in the background where you can’t see them. Many people have no idea they are even running. Even if your PC is older, it might contain manufacturer-installed programs that you never noticed or have since forgotten about. It’s never too late to remove these and get rid of the clutter and wasted system resources. Maybe you thought you might use the software someday, but never did. Uninstall it and see if your PC runs faster. 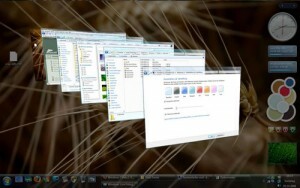 A great way to speed up your Windows PC is by disabling some of its unnecessary visual effects. Sure they make your interface look nice, but when it comes down to it, what do you value more: appearance or performance. There is a tradeoff between the two. If your computer lacks more advanced hardware and is just barely powerful enough for your version of Windows (XP, Vista or 7), you may notice a significant increase in performance just by scaling back the visual bells and whistles. This may involve removing the transparent glass look or changing the way menus open. Access the appropriate features in your Control Panel to choose which visual effects to turn off. 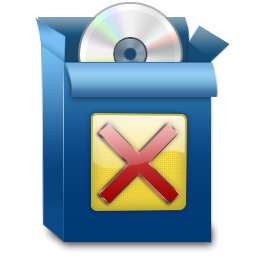 Fragmented hard drives are forced to do extra work that can slow down your computer, since files can be arranged in a scattered pattern across the drive. The Disk Defragmenter tool (which comes pre-installed with all copies of Windows) rearranges fragmented data so your hard disk can work more efficiently. You can set Disk Defragmenter to run on a schedule, or you can also defragment your hard disk manually. If all else fails, this tip is simple. When your computer seems to be running slowly and closing all the currently running programs doesn’t help, trying restarting the computer. A simple restart can fix performance problems where the exact cause is hard to determine. Just like a car, regular maintenance of your computer is necessary to keep it performing well and up to speed. The problem is that many computer users don’t have the time or know-how to perform this maintenance to prevent their computers from slowing down. If this sounds like you, perhaps you should give our Free Computer Maintenance software a try. Our free software takes care of many of the tedious maintenance tasks that should be performed on your PC on a scheduled basis. From disk defragmenting to disk cleanup and repair, Free Computer Maintenance can take the hassle out of keeping your PC fast and healthy. Fill our our short form to give Free Computer Maintenance a try. You’ve got nothing to lose. It’s 100% FREE!